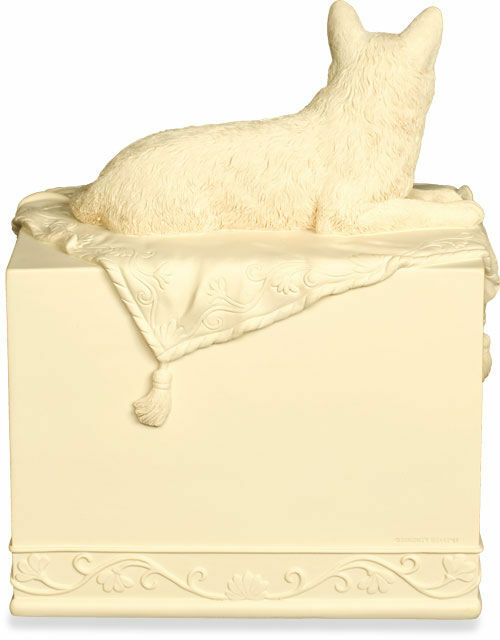 A beautifully detailed cat lies atop a blanket on the top of this beautiful urn. 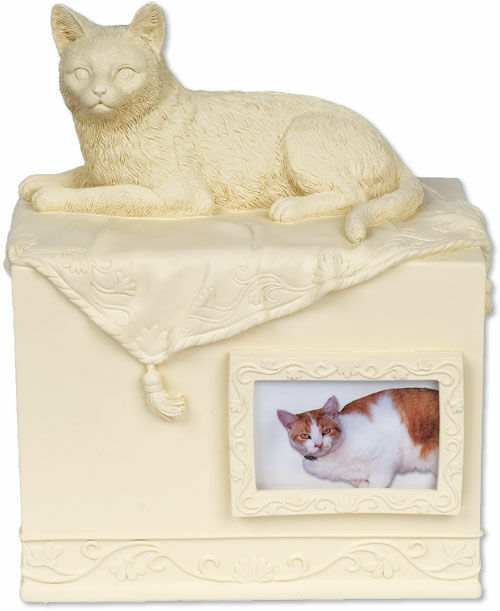 A floral vine design wraps around the base and around the frame on this piece, bringing a touch of elegance to the urn. Measures 7 1/2" x 6 1/4" x 4 1/2" - 55 cubic inches. Holds a 1 3/4"H x 2 1/2"W photo.